Its been ages since I made Puliyodharai (Tamarind Rice, Puliyogare, Pulihora etc etc ) - in the authentic traditional way. Actually echoing my better half's smart pants comment 'In fact I don't remember having made it at all!' (#$#). Have to say, its not true - I do recall making this couple of years ago and then gave up cos for me it was hassle! Prepare the spiced tamarind paste and then mix it with rice and temper it with few more spices and blah and blah some more! Well, I don't call myself lazy without reason. For those who thought "What, its not that difficult?!!!" - well its not in the strictest sense. I will tell how.When you have a remarkable cook for a mother - it can be a boon as well as a sore point! She is so good that she measures through her instincts! (Frantic phone call) - *ringggg...."
Mum: " Tell me sweetie..."
Me: " I am thinking of making this (traditional recipe)..give me measurements..."
Me: (all excited) wow! sounds great - now give me the recipe, I will write it down. Mum: "What were you doing all this while I was telling you the recipe???????????" Mum: (hesitating)..aaah! Cant you figure it out while you are cooking??? mmm..Let me try - Take a handful of (3 ingredients), pinch of (2 more ingredients), you can eye ball (the remaining 3). I just put it while cooking! Who knows all these measurements..
Mum: "What happened? Are you still around?" Me: "What in God's name am I supposed to say? How am I going to make this if you dont give me proper measurements?!!!!!! Its your duty as a mom to give me correct measurements!" Mum: "And it was your duty as a daughter to learn cooking when I asked you zillion times to!!! Working was a convenient excuse then, now see this is what happens....."
Only God knows how with all her "handful", "pinch", "dash" measurements, her dishes always turn out to be mindbogglingly delicious! My "pinch" and "dash" only results in making throwing away the dishes a "cinch" and getting me verbal "bash"es! Hence blindly making the Tamarind paste was not in my 'to-do list'. But with Pongal festival making an appearance soon, I thought of trying it again and this time, my mom instead of giving me her dashes and pinches recipe - gave me a recipe from a famous cook who specializes in Iyengar cooking for marriages. 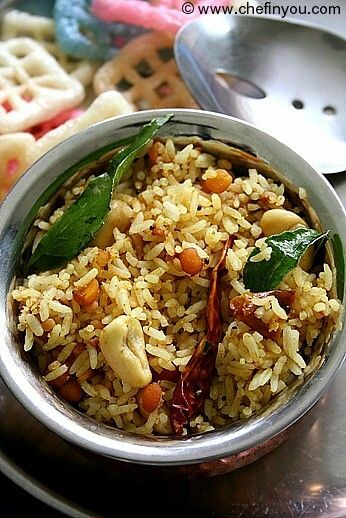 Iyengar community specializes in this rice and is famous among South Indians (and few North Indians too!!) There are like 100,000 variations of this rice and this is one among many! Again she included elements of the eyeballing - though I have tried to work around it and given you measurements - I would appreciate if you could use your discretion while making this recipe. But I have to warn you - this is a cholesterol heaven (or should it be hell?!) and if you think the measurement of the oil that I gave is typo - no it isn't. In fact I have tried to be conservative here! 1. 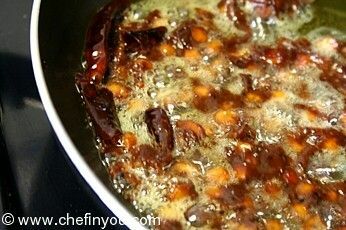 Soak the tamarind in 2 cups of hot water for around 30 minutes. 4. Strain this mixture to discard any lumps. 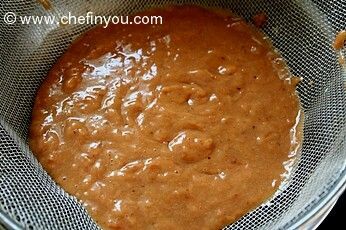 The result should be a thick paste - if it is too thick for the strainer, add a little more of hot water, give it a whirl in your processor and strain again. The consistency should neither be too thick nor too watery. Until ground fine. Mix them together and store them in a plastic container. They keep well and are handy while making the rice. Use this powder carefully. Too much of it will give a bitter taste to the dish. 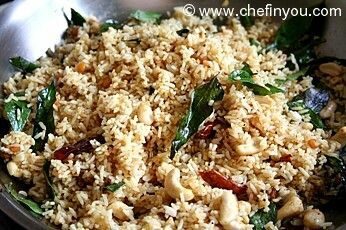 You can alternativly grind only little of these (seperately, of course) at the time of making the rice and add it towards the end since the aroma that this imparts to the dish is mind blowing. But take care, esp. with fenugreek seeds powder since it can give a bitter taste if added even a little bit in excess. I followed this method and grind it only as and when needed! I don't make this that often to require making a large amount or storage. Now lets make the paste. Take a skillet and add the oil. 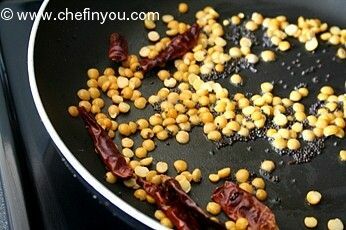 Add the red chillies, then mustard seeds and then bengal gram. 10. Now starts the slow cooking process. Keep the heat at simmer and let it cook. You know its done when the raw smell of the tamarind is gone, the water reduces and thickens into a paste like consistancy and the oil oozes out on the surfaces. 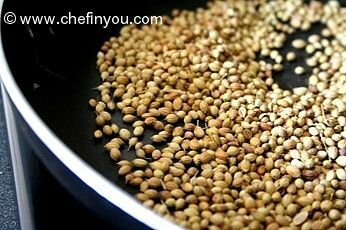 You can at the point do two things optionally - add 1 tsp of fenugreek seeds or the powder. This is to give it more aroma. The recipe given my mom did not do this. 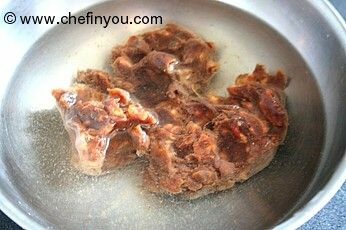 remove from heat, cool it well and store it in a glass container. Keeps very well for a loooong (!!) time and requires only a wee little bit (depending upon your taste) at a time to be mixed in the rice. 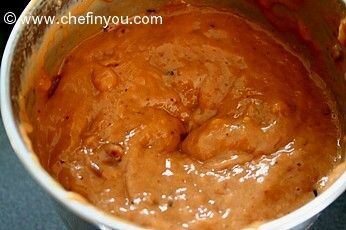 The more solid the Tamarind paste , lesser is the amount required to be mixed. If you make sure to keep the paste within the oil, then it would last longer. If your mixture is dry, then it naturally reduces its shelf life. 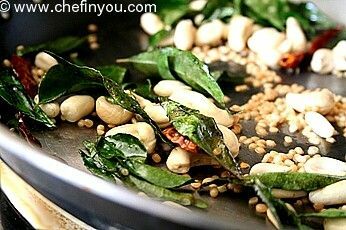 Use it sooner in that case.To prepare the rice, in 1 tsp of oil, temper the lentils, along with red chillies and curry leaves (or you can use fresh without tempering in oil) and then add in the peanuts and cashew (you can roast them seperately too). It came out excellent. Small change I made, since I had heard about ellu (sesame seeds) in Iyengar Puliyodharai. 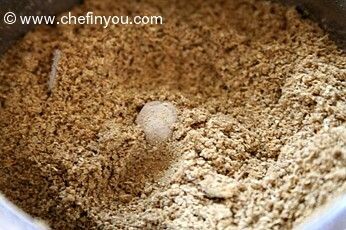 So, I added 1 tbsp dry roasted sesame seeds to the powder mix and powdered it along with the rest of the ingredients. 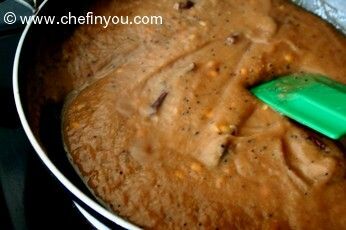 Another thing for next time that I will do is, thetemperin that is added at the time of mixing the rice, I will add it to the tamarind mix. I like my peanuts well soaked in the tamarind paste. It has a unique taste of its own. But other than these 2 changes, I kept everything the same and it was great! Hi. I liked the attention to detail in this recipe. 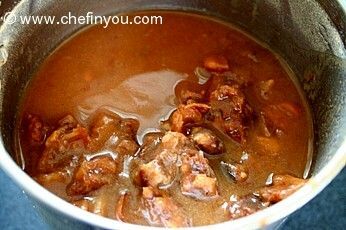 Please mention the point- That add only one tablespoon or two tablespoons of the tamarind paste in the rice. This one crucial point is not mentioned properly. Therefore my tamarind rice became very sour. The only intention of commenting here is so that others don't get confused about this. Otherwise it was nice. 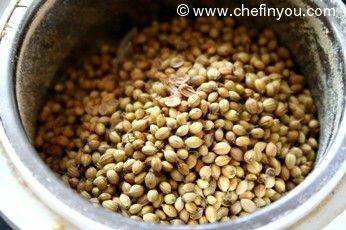 Also in the powder which was made, even though the amount of fenugreek seeds were less, it overpowers the taste of coriander and chilli powder. Any solution for this? My son just.... loves puliyodharai :-P.So planing to do day after tommorrow. I've never tried this recipe from scratch although my mother does so. As another poster had mentioned, I've always used the readymade paste. Today, I was suddenly inspired to cook something traditional and went searching on the net. Glad I found this website. Thanks for sharing it so precisely with pictures to boot. Your sense of humor adds the extra spice to the post:). Do you have to use sesame oil? Planning to try this in the next week or so. Quick Q though - what about Ellu? Thought typically Iyengar Puliyodharai had Ellu? Can you clarify when you get a chance please? 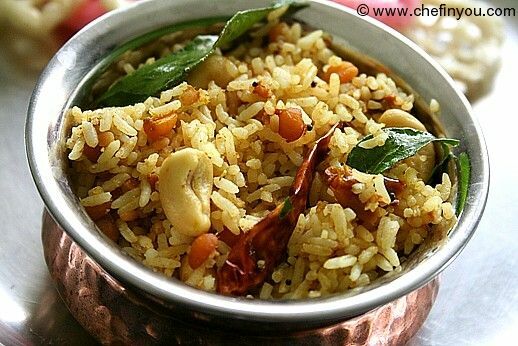 I can have this delicious tamarind rice anytime...thanks for sending to CWS..Enjoyed the conservation part.. Whenever I speak to my mother about a recipe, I have the same problem. Her favorite phrase is "kannalavu paathu kai podanum".. and I am like "????" 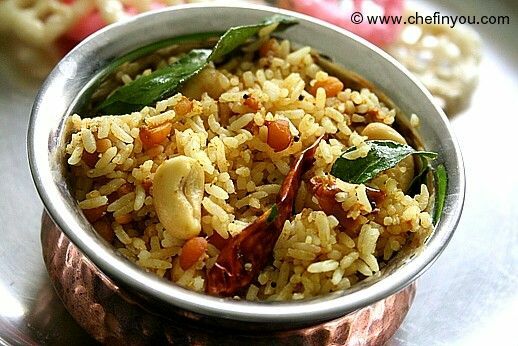 I love puliyodharai...looks delicious! I tried making this from scratch once and since then, have pretty much stuck to MTR. Like your step by step pics. Hmm nice step by step pics! I love love LOVE puliyodharai. 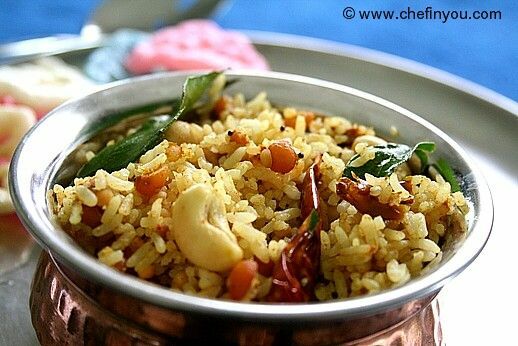 After photos like that, I HAVE TO make it too... the sudden craving for spicy puliyodharai is overwhelming! :) Beautiful photos as usual, Dhivya. I love this recipe!!! !reminds me of home :( and my mom. My mom does the same thing!! handful of this,1 karandi of that(which karandi??!?? ),lil bit of that. I will make her repeat the whole thing again with proper measurements!. I guess its a mom thing!